"Looks like I found a great new dental office for me and my family!" "Dr. Moawad and his staff are wonderful!" 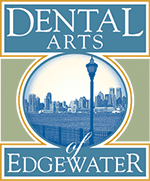 Michael Moawad, DMD, of Dental Arts of Edgewater, provides the latest in dental treatment technology to the community of Edgewater, New Jersey. A proficient student, he excelled in his academics at an early age. In high school, he received a citation from the office of the New Jersey governor, and as an undergrad, he received the prestigious Outstanding Senior Academic Achievement award. Dr. Moawad’s passion for the sciences led him to pursue an undergraduate degree in chemistry, and during college, he became a research and development chemist for Colgate-Palmolive. He followed his love for dentistry and received a doctorate in dental medicine from the University of Medicine and Dentistry of New Jersey. He then completed his residency at Monmouth Medical Center in Long Branch, New Jersey. He is a certified provider of Invisalign® and holds a sedation permit from the New Jersey Board of Dentistry. He also completed Botox® training approved by the Board of Dentistry and provided by the Jersey Shore Medical Center. Dr. Moawad is continuously learning about technological advancements in treatment and stays at the forefront of dentistry. He’s a member of the American Dental Association, the New Jersey Dental Association, and the American Dental Society of Anesthesiology. 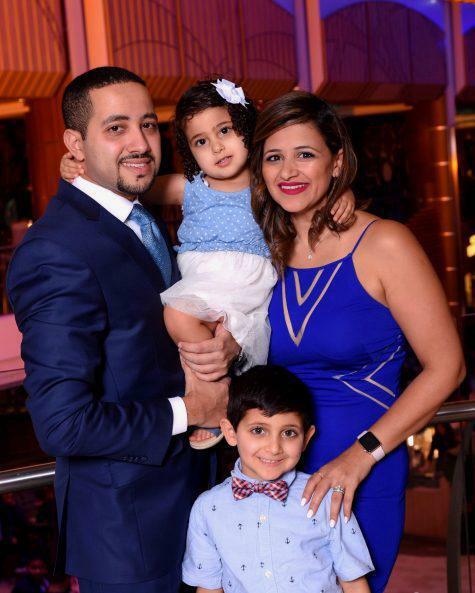 Dr. Moawad is dedicated to serving his community and has been involved with non-profit organizations that provide free dental care and education. He participates in several programs that educate Newark public school children on the importance of oral care, as well as providing free dental care through the Give Kids a Smile® program. One of the most rewarding experiences of his career has been his work with the Coptic Medical Association of North America, where he provides dental care in Bolivia, Egypt, and Ethiopia. "There are not enough good words to say about Dr. Mike. He is very professional, down to earth, and communicates effectively. I would highly recommend him." "Dr. Mike Moawad is a wonderful dentist. He takes the time to explain everything. He is meticulous with his work and is also wonderful with our kids."